When it comes to websites and landing pages, colour is one of the most effective ways to convey a message and gain significant results from on your landing pages. Digital technology and colour tone and brightness are the most critical components of modern marketing. 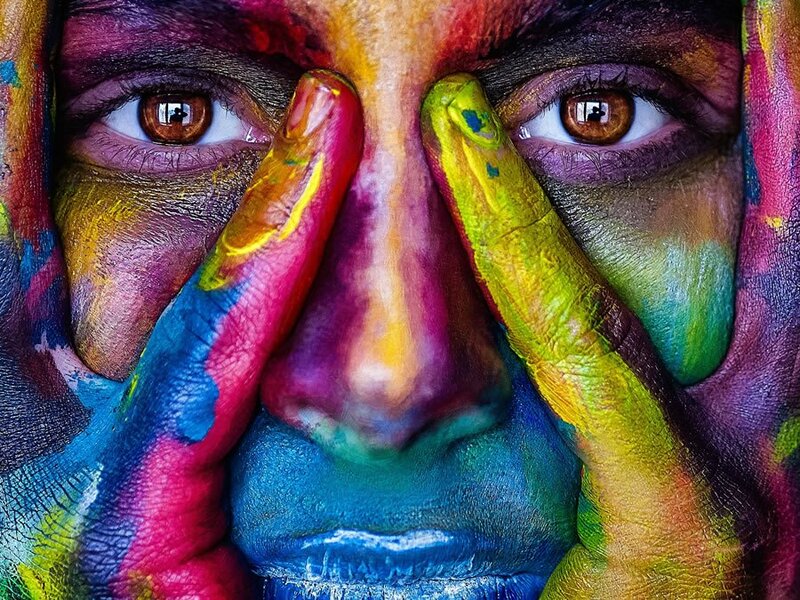 Colour is a determinant of human behaviour, and it is used by brands to evoke different reactions. Do you feel serene and calm when green fields and sunny blue skies surround you? Have you ever asked what does the colour red represent, and why you feel slightly alarmed when staring at a red stop sign? Your colour choice isn’t as simple as creating an aesthetically pleasing design though it’s undoubtedly essential. Colour can convey moods, emotions, and evoke strong feelings about your brand and how the customers feel about it. Coming up with landing page ideas which will help convert website and social media visitors into customers can be a lot more difficult than it sounds. If you want to land the big fish, you’ve got to rethink your landing pages design and colour scheme. After all, small changes can often mean better results. How does colour influences people? Grey – Symbolises feelings of practicality, old age, and solidarity. However, too much grey can lead to feelings of nothingness and depression. White – Associated with feelings of purity, cleanliness and safety. Use to project an absence of colour or neutrality. White space helps spark creativity in an unaltered, clean state. Always make good use of white space. Purple – Commonly associated with royalty, wisdom, and respect. Purple stimulates problem-solving as well as creativity. Red – Creates a sense of urgency, which is useful for generating sales. Encourages appetite, thus is frequently used by fast-food chains. Physically stimulates the body, raising blood pressure and heart rate. Red evokes movement, excitement, and passion. Blue – The preferred colour of men. It’s associated with peace, water, tranquillity, and reliability. Blue provides a sense of security, curbs appetite, and stimulates productivity. The most common colour used by conservative brands looking to promote trust in their products. Green – Associated with health, tranquillity, power, and nature. Used in stores to relax customers and for promoting environmental issues. Green stimulates harmony in your brain and encourages a balance leading to decisiveness. Orange and Yellow – Cheerful colours that promote optimism. Yellow can make excite people, while orange can trigger a sense of caution. Used to create a sense of anxiety which can draw in impulsive buyers and window shoppers. Does your marketing have enough colour? Many businesses think their landing pages are great, only because they designed them. The reality is, if you use the wrong colours you will not get the results you are seeking. There are many shades which can be critical, and in fact, make all the difference. The combination of a complementary colour scheme, making it aesthetically pleasing, even if the viewer isn’t consciously aware of it, it will have the desired impact. Unfortunately few people have a good sense of colour and its effects on buyers. Colour plays a vitally important role in marketing. It can sway thinking, change actions, and cause reactions. It can irritate or soothe your eyes, raise your blood pressure or suppress your appetite. When used in the right ways, colour is a powerful influencer. Front Row Media helps clients to get maximum results from their online marketing efforts using excellent design with appropriate colour intensity.